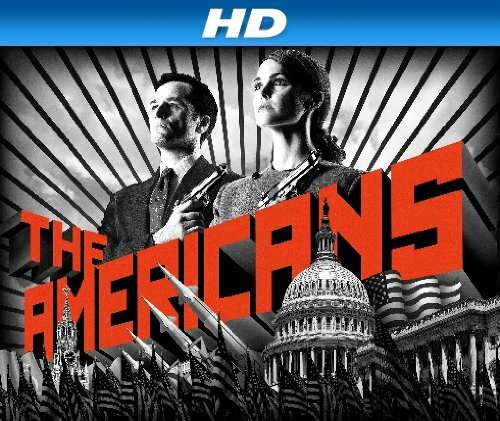 Quick Take: The Americans, "Pilot"
(S0101) First off, if you are expecting to see any character similarities between the roles that made Keri Russell and Matthew Rhys famous -- Felicity Porter on Felicity and Kevin Walker on Brothers and Sisters -- you will be sorely disappointed. The characters they play here, Elizabeth and Phillip Jennings are a far cry from their previous characters. They play KGB spies who are together through an arranged marriage living as Americans in suburban Washington, DC - she is cold and calculated while he can be ruthless and menacing. They even have two children to complete the perfect picture. The episode opens and we are right into the action. Elizabeth is in the process of getting insider information from a Department of Justice employee and three days later she, along with Phillip and another person are in midst of trying to capture a KGB defector (Timochev). While they do capture him things go awry when the third person is stabbed - he later dies - and Elizabeth and Phillip miss the cargo ship that the defector was supposed to be on back to Russia. They decide to take him home and keep him in the trunk of their car until they receive further orders. Admittedly twenty-five minutes into the show I felt as though the episode was falling flat. I was hooked, but, I could take it or leave it at that point. I actually fell asleep for a minute or two but luckily awoke in time to watch one of the most dramatic scenes of the entire episode. While Elizabeth is steadfast in her loyalty to Russia, Phillip is starting to wane and he feels that it would be best to come forward and expose themselves to the FBI in exchange for money and "freedom." He decides on his own that he is going to turn over the defector they are holding to the FBI agent who lives a few doors down. Elizabeth catches Phillip and proceeds to beat up the defector, but, prior to actually killing him he apologizes for hurting her - he raped her twenty years ago in Russia while she was a cadet - she then tells Phillip he can do with him as he pleases. When he realizes what it is that he has done, Phillip kills him himself. While their marriage has basically been a sham and front for so many years, it is apparent that during those years Phillip has actually fallen in love with Elizabeth. Furthermore, this action on Phillips part appears to be the turning point for Elizabeth's feelings towards him. After disposing of Timochev's body we finally see her initiate intimacy with Phillip. Earlier in the episode when he was kissing her neck she was adamant that he stop and actually threatened him with a knife. It also seems that killing Timochev awakens a dark side of Phillip that may have gone quiet. Earlier in the episode when he was at the mall with his kids and older man makes a lurid comment towards his daughter and instead of doing or saying anything he just stares at the guy, but does take note of the man’s name. At the time he tells his daughter that sometimes it's best to just walk away and it honestly seemed like he wouldn't seek retribution, but, towards the end of the episode he pays a visit to the man and beats him up. And while what he does is wrong, there is definitely a part of you that wants to applaud him for standing up for his daughter. I think this is where the lines will be blurred as to whether or not you should root for Elizabeth and Phillip, because no matter what they may do on the outside they are a family and do function as one. It will be interesting to see how the season unfolds. The FBI agent who lives a few doors down works in the Counterintelligence division and it's his job to expose people like Elizabeth and Phillip. And while he likes Phillip he suspects that something is off. After noticing that the Jennings owned a car similar to the one that was reported to be the one that kidnapped Timochev, he breaks into their garage to see what's in the trunk of the car. Did he really think it was going to be that simple? He laughs at himself when he sees that it's just the typical things one would keep in there and leaves - unbeknownst to him though, Phillip was in the garage watching him holding a gun. Overall the show is well writing, but, will it follow along a straight line where the viewer will be able to believe what's going on or will it start to take detours where the storylines will become more and more outrageous?